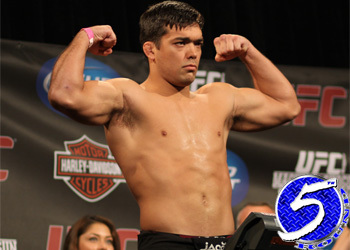 For the first time in his UFC career, Lyoto Machida faced adversity following “UFC 104: Machida vs. Shogun.” He’s hoping that a second win over Mauricio “Shogun” Rua will be enough to validate his reign as the king of the light heavyweight division. Although he walked out of STAPLES Center with the belt around his waist, Machida was uncomfortable – to say the least – when not only the fans, but UFC president Dana White were convinced “Shogun” should’ve taken home the title in their first encounter. For the first time in his career, Machida was beaten up, but vows that he’ll be better equipped to handle what the former Pride middleweight Grand Prix champ has to offer in their remtach. “It’s a fight and I am prepared for the worst. If it goes to the 5thRound, I’ll be prepared,” Machida promised. “The Dragon” is hoping for a finish against Rua this time around, but won’t get careless in order to prove his point. “I would like to finish the fight in the 1stRound or as soon as possible. Nevertheless, I’m not thinking in a hasty or reckless way,” the champ continued. This Saturday will be his opportunity to prove once and for all that he rules the 205-pound class and this is one dragon that “Shogun” won’t be able to slay.